With the space to showcase the expanding range of CDA appliances, sinks and taps, the brand new showroom at our HQ in Nottingham is certainly something to shout about… With an open plan design and two demonstration kitchen areas, the new CDA showroom has been completed. 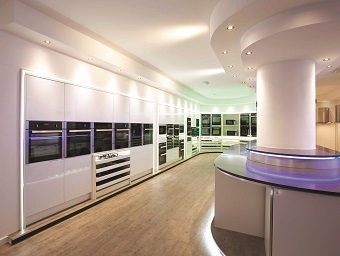 Available to view, by appointment, you can see the exciting and technologically advanced range of kitchen appliances we offer. Product experts are on hand to guide you through the functions and features to find the signature oven, hob, extractor, laundry or dishwasher model that will fit into your lifestyle. Use our Brochure App in conjunction with the showroom experience to explore product videos and imagery slideshows to build CDA into your kitchen design.